Apple is planning to stop selling Fitbit health tracking devices like the Fitbit Flex in its retail stores in order to better promote the Apple Watch, according to sources. Early indicators suggest the Apple Watch will launch in February of next year and, although Apple hasn't commented officially, speculation reckons the iPhone manufacturer wants to give its wearable the best start possible. Fitbit got an early start in the wearable market and, according to the NPD Group, holds nearly 70% of the wearable tech market with the likes of Jawbone and Nike picking up the rest. Interestingly, Nike culled the majority of its FuelBand division a few months ago in what many assumed was a partnership with Apple to emphasise the forthcoming Apple Watch. It's not yet clear if Apple will axe all other wearables from its store once the Apple Watch goes on sale. Whether Apple's decision to dump Fitbit comes as a result of the company's reluctance to adopt the former's HealthKit platform is another twist in the tale. 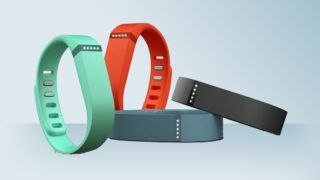 A week ago, Fitbit announced it has no current plans to integrate its devices, which include the Fitbit One and Fitbit Force, with HealthKit. "It is an interesting platform and we will watch as it matures, looking for opportunities to improve the Fitbit experience. At the moment, we're working on other exciting projects that we think will be valuable to users," the company said in a statement. Meanwhile, other wearable manufacturers like Jawbone, Withings and Strava have all updated their apps to integrate HealthKit. Apple, for its part, appears to have been busy leaking today's iPad Air 2 and iPad mini 3 news.